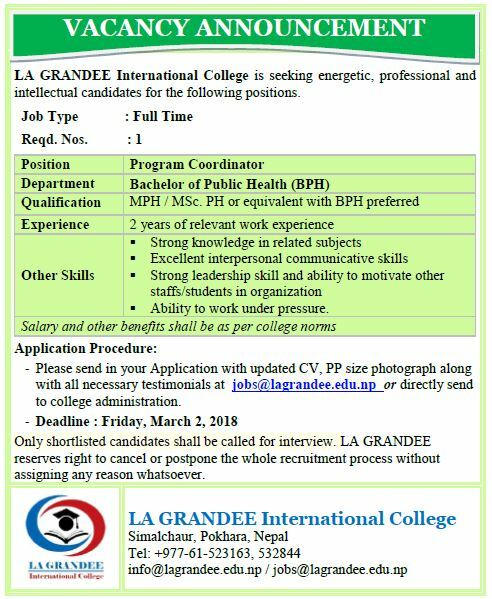 Admissions for the new session of 2018 has been opened from August 8, 2018 (Shravan 23, 2075) at LA GRANDEE International College. 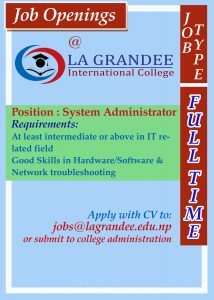 We offer admissions for the programs – BCA, BBA and BPH. Very limited seats are available in BCA and BBA programs. 10+2 or Intermediate level in any discipline with minimum of 45% marks or C Grade. It is also mandatory to have attended 100 marks of Mathematics or Computer Science in 10+2 or Intermediate level. 10+2 or Intermediate level in any discipline with minimum of 45% marks or C Grade. 10+2 or Intermediate level in Science (Biology) or Diploma in Health Sciences (HA, Staff Nurse, Diploma in Dental Science, Radiography) or equivalent with minimum of 50% marks or C+ Grade. 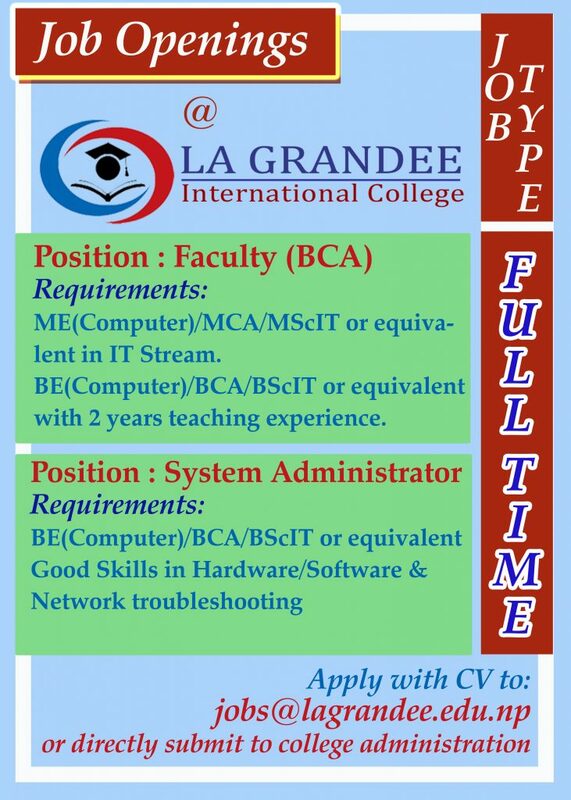 *Note : For any further details, please mail us at admission@lagrandee.edu.np / info@lagrandee.edu.np or call us at 977-061-523163, 532844, 534683 from 7:30 am to 3:30 pm on all working days. Copyright 2018 - LA GRANDEE International College. All Rights Reserved.